Compatible with other 8in replica toys. 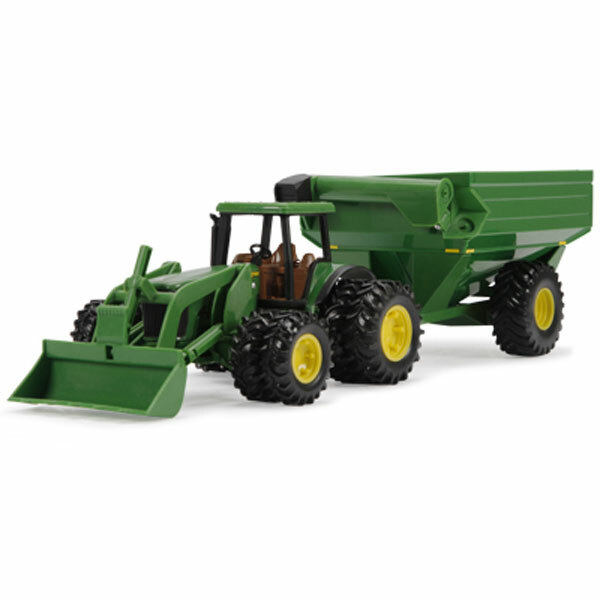 Features include tractor with loader and removable dual tires along with a grain cart with moving auger. 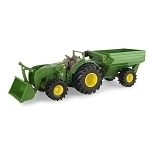 Great for sandbox play.